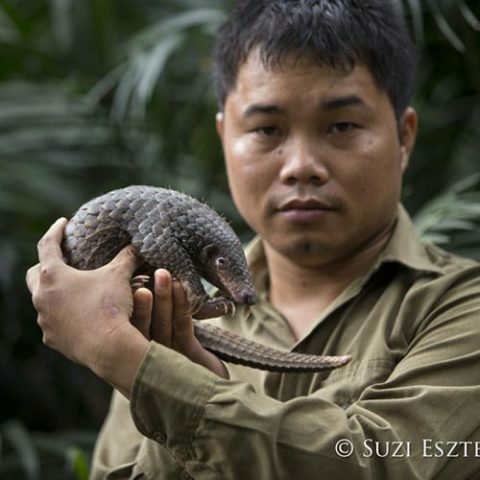 Thai Van Nguyen (Vietnam) has been at the forefront of pangolin conservation in Vietnam. Both the Chinese pangolin (Manis pentadactyla) and the Sunda pangolin (Sunda javanica) are widely acknowledged to be the most trafficked mammal on earth, and are listed as Critically Endangered on the IUCN red list. Without a conservation action plan, these animals may go extinct. Thai has been instrumental in setting up the first South-East Asian regional pangolin rehabilitation centre in Vietnam, which became the first centre to successfully release rehabilitated pangolins. 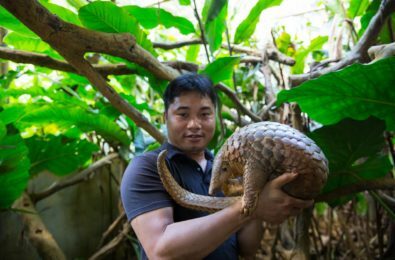 Next year, Thai Van Nguyen will spearhead Vietnam’s Pangolin Conservation Action Plan: the first time a national strategy for species conservation will be adopted within Vietnam, ensuring that all stakeholders align their actions and missions. 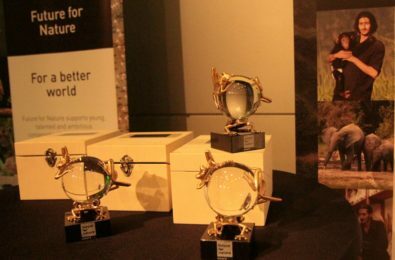 This Action Plan aims to combat illegal pangolin trade, to rescue and release confiscated pangolins, and to stage awareness campaigns and education programmes to reduce demand for pangolin products. Short-term actions include urgent measures to save the small number of individual pangolins left now. Long-term actions include measures to solve problems such as consumer demand and sustainable use issues. 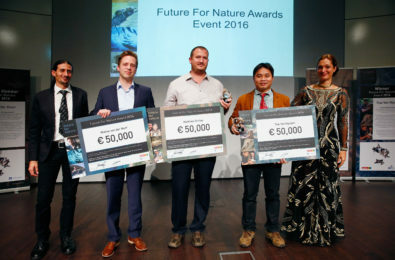 Education plays a key role in convincing people of the inherent worth of the pangolin: it is unique as the earth’s only scale-covered mammal and an important regulator of insects and provider of burrow shelters to host other species. 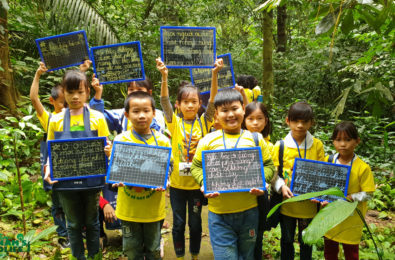 Education also empowers people to make informed choices: pangolin scales are not magical medicines, and alternative options are both available and more appropriate choices for both human health and the preservation of one of Vietnam’s iconic wildlife species. 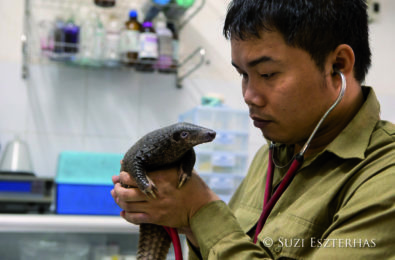 New Vet Clinic for Pangolins!